Had a couple of seasons in his five-year Buc career as the main tackler and most well-known force on the Tampa defense. Known as "The Sandman", he was eventually cut in June 1994 in a cap-related move but one brought on by his lack of pass-coverage ability. 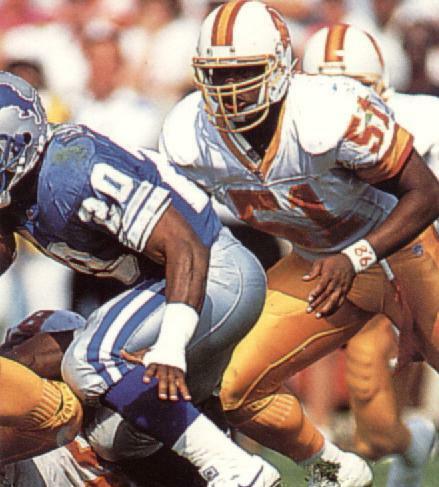 His 1991 season in which he recorded nearly 200 tackles and had 11 sacks, deserved to be rewarded with a Pro Bowl berth but the Bucs' lack of success kept him from Hawaii. Went on to play for the Cowboys after leaving Tampa Bay.